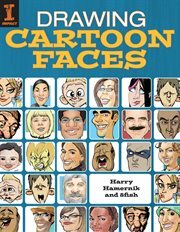 The item Drawing cartoon faces, Harry Hamernik with 8fish, (ebook) represents a specific, individual, material embodiment of a distinct intellectual or artistic creation found in Charlotte Mecklenburg Library. Discover the fast and fun art of drawing comic faces! Chances are you already know how to draw some expressions. But you can only go so far with "happy," "sad" and "angry." In order to give your comic portraits some...character...you need to know what they look like when they are about to sneeze, when they smell something stinky or when they're flirting, terrified or completely dumbfounded! Good thing Drawing Cartoon Faces includes more than 70 step-by-step demonstrations to teach you how to capture the silly, whimsical and expressive faces you see in your imagination and of friends, family and strangers! With Drawing Cartoon Faces, you'll get expert instruction on: The fundamentals: Drawing heads, eyes, noses, mouths, hair and other features. The expressions: More than 70 step-by-step demonstrations for a variety of expressions and moods, from simple to subtle and complex. Storytelling: Move your story along using expression, point of view and composition. Put it all together to create multi character and multi panel art. With Drawing Cartoon Faces, you'll learn to draw like you never thought you could--and you'll have more fun than you ever thought possible!